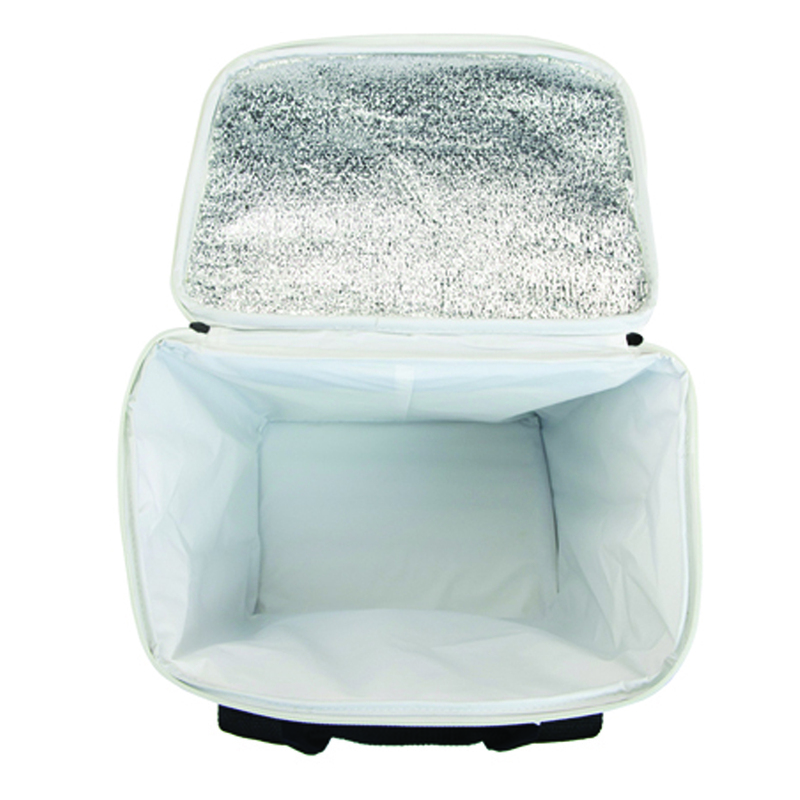 Durable and easy to transport, this cooler will help keep your refreshments contained and cool. 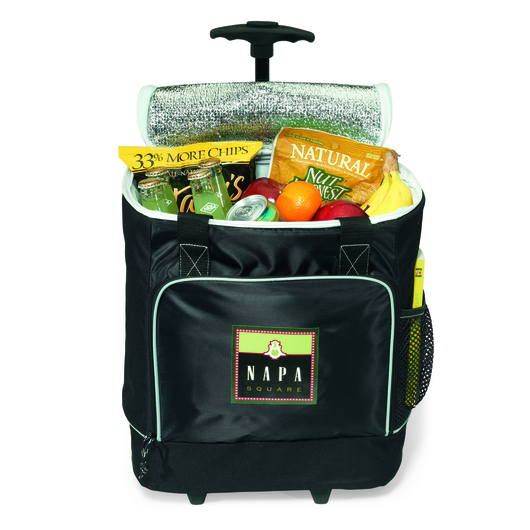 Easily roll in with your snacks and soda when you pack them in this beautiful wheeled cooler. You can easily fit in your snacks and refreshments with its 30 litre capacity and make easy work of wheeling the cooler to the party, picnic or campsite. 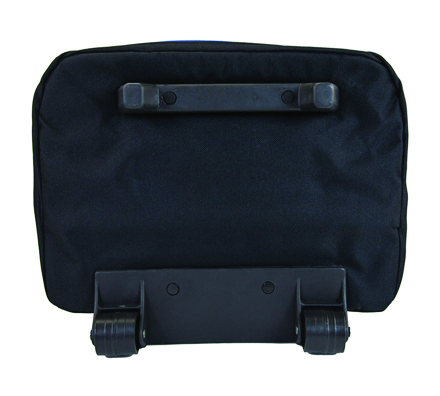 Manufactured from sturdy 600D/210D polyester material. 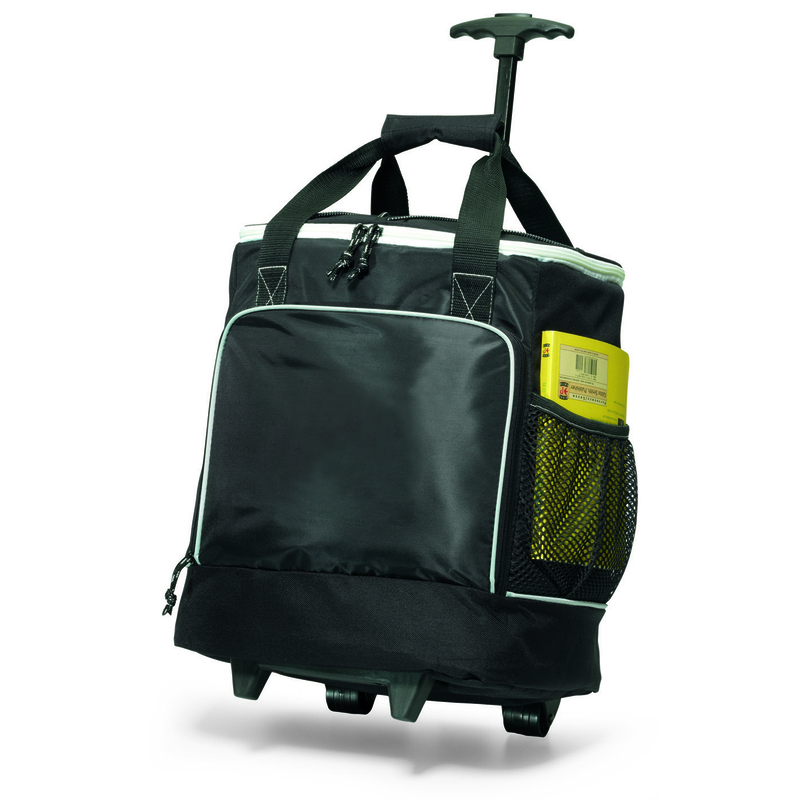 This wheeled cooler also features a push button telescoping handle, large zippered main compartment, top bungee accent provides additional storage, front zippered pocket, two strap design with Velcro wrap for carrying ease, mesh side storage pocket, 32 can capacity, heat sealed interior, PVC free, and a removable floor board.